I'm happy that the new SwiftKey keyboard cane out to include a big update. I actually had purchased the keyboard but didn't have it downloaded. Apparently if you had purchased the keyboard you receive the premier skin pack free. Does anyone know how I can claim the pack? Thanks. 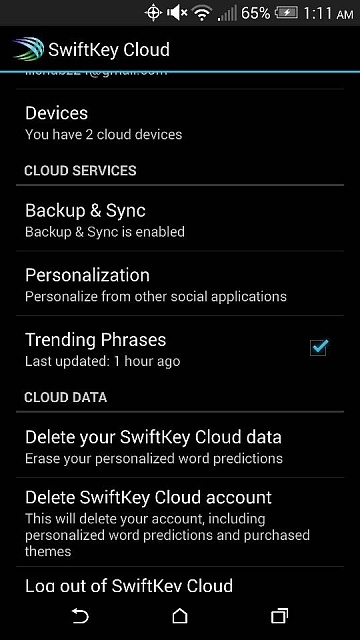 Sign into your Cloud account from swiftkey settings and go to the theme store. The Premium theme pack will show up with the price crossed out and say Free. Yes. 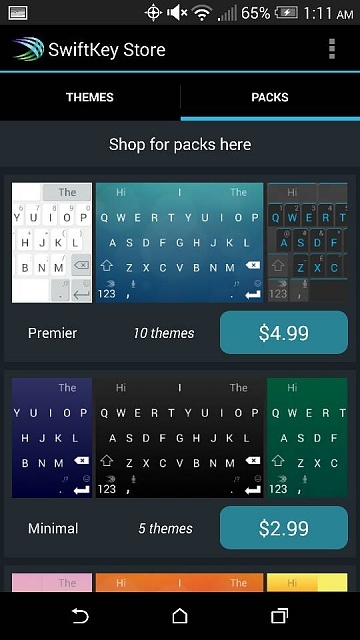 Go to SwiftKey settings, click on themes, then click download new themes. Slide to the right, then download the first theme pack listed, it will be the one telling you its free! I went to the settings and I'm signed in but it still won't allow me to download them. Did you log in to the cloud with the same account that you bought it under? This is happening to a lot of users, myself included. You have to email their support from their website. They responded to my email saying they are aware of the issue and they are working on it. They also said they plan on having it fixed within 48 hours, but I'm not sure how accurate that time line really is. I backed out the first time I saw the price, then when I went back in it and it had a line through the price and it said Free next to it. I just downloaded it. Been a user of Swiftkey for a long time. They did two very cool things with this update. One, built emoji support into the keyboard itself. Two, added the option to add a number row at the top. Email their support. SwiftKey support is pretty good... You won't have much of an issue and I'm sure they'll fix the bug for you . 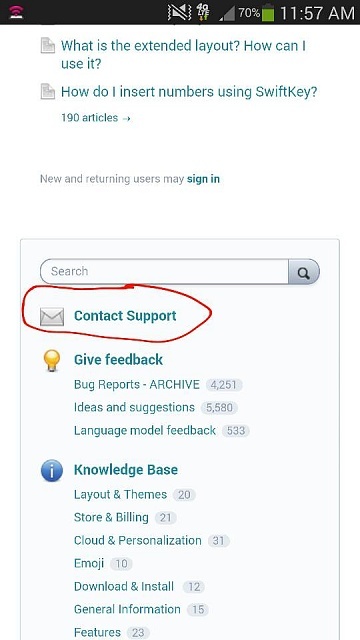 Then scroll to the bottom and hit contact support. Explain your issue and be sure you leave your contact phone and email within the message as well . So where's the update for Verizon?¿? When Is An Update Coming?!! I'm Almost Ready To Get Rid Of My Note! Unlocked S5 Get Updates Straight From Samsung?